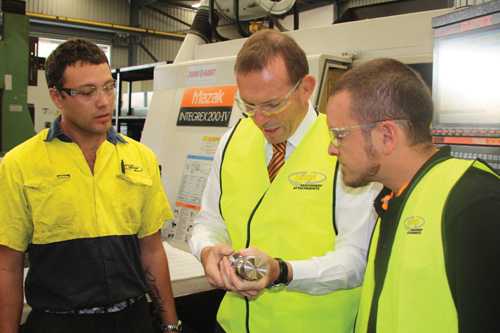 Today Tony Abbott the leader of the opposition, paid a visit to Digga Australia’s state of the art manufacturing facility in Yatala, Brisbane. 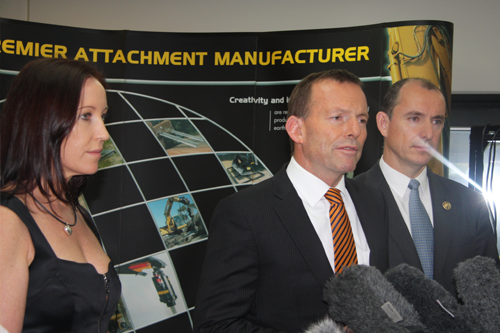 Mr Abbott spent a couple of hours at Digga followed by a large media contingent. 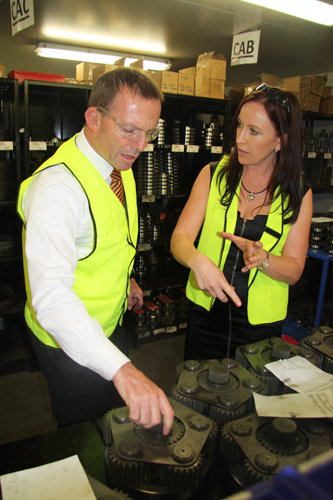 He toured the 12,500sq/m facility with Digga CEO Suzie Wright before having morning tea with some of the 200 strong Digga workforce and addressing the media about issues affecting Australia manufacturers. 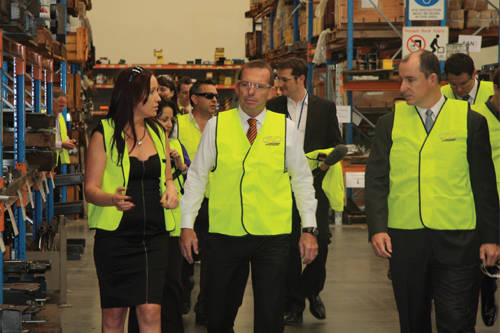 The Federal Opposition Leader said a carbon tax could potentially close local businesses. "If we want manufacturing like this to continue, we've got to drop the toxic tax," he said. "If the carbon tax goes ahead this kind of thing will still be manufactured, it just won't be manufactured here, it will be manufactured in China, under much worse environmental conditions." 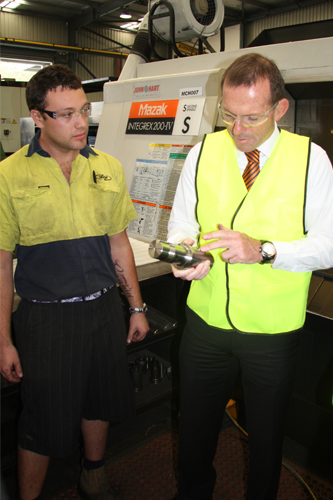 Mr Abbott was visibly impressed with Digga’s manufacturing facility and Digga’s commitment to keeping jobs in Australia. Digga Australia is a 100% Australian privately owned business, employing over 200 people in 3 company owned facilities throughout Australia.